To expedite shift-swaps more efficiently: updating from a Craislist-style ad-board to a more intuitive, accessible solution - easing frustration, gaining member confidence. A feature for the existing mobile app: Members enter preferred dates of availability for swaps, easing accessible exchanges, improving coop staffing. This antiquated ad-board style posting process induces a time-consuming panic attack. 15 posts populate per page, each with specific preferred contact methods. Members who find swaps rarely remove their posts, resulting in time wasting, redundant requests for swaps already filled. Our hunch — that members would support a mobile solution easing the frustration of the current shift-swapping system — had to be validated. We created an online questionnaire; most members were enthused to sign up. Our questions screened for smartphone-savvy members willing to participate in deeper, qualitative interviews. Rather surprisingly, standing before over 200 members at a General Meeting, our idea roused the gathering to a brief standing ovation(! ), followed by our picture and a blurb in PSFC’s newsletter, the Linewaiter’s Gazette. 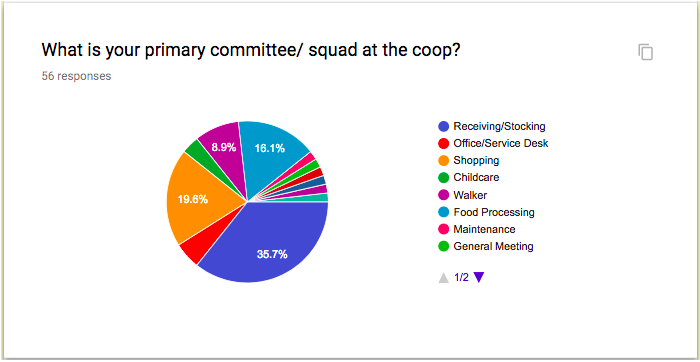 Respondents closely reflect the ratio of committee/squad staff across the store. Although a majority (60%) make the effort to call when they can’t work, under 40% use the website’s feature to arrange a shift-swap. Half call the office to get questions answered -- suggesting a high call volume with redundant questions for office staff. 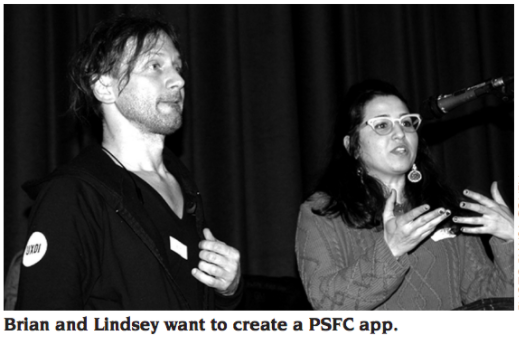 By interviewing members more intimately, we obtained a deeper contextual analysis, discovering many consistent themes — about the pains, pleasures, and hopes of the PSFC user experience. We formed general problem statements for the main two types of PSFC members: workers and shoppers. 2. Shoppers need a more comfortable shopping experience, specifically less crowding of aisles. 1. Workers need an improved way to arrange their schedule and easily swap shifts — a less burdensome, streamlined process. Furthermore, squad leaders regularly ask volunteers in need of make-ups to stand in when the store is understaffed, over the intercom. Our objective is to design an easier shift-swapping solution — our MVP, a mobile app /feature— to become utilized by members. Through it, over time, estimating staff shortages/overages might be easier for full-time staff and squad leaders. 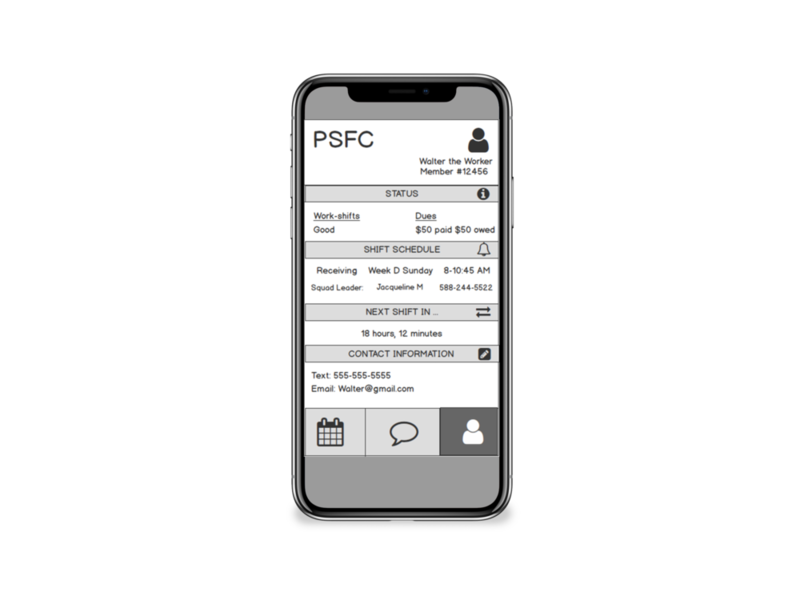 To breathe life into our research discoveries, we created two distinct PSFC member personas — a worker and a shopper —whose needs we would seek to address in our mobile design. 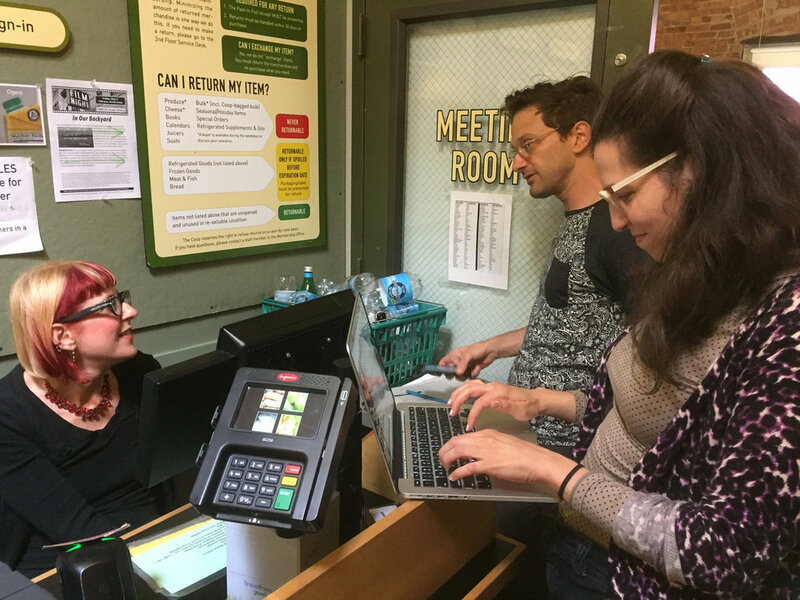 A more immediately gratifying mobile shift-swapping feature to help resolve overcrowding of PSFC, suffered by both Walter and Silvia (not to mention squad leaders and full-time staff, stressed by the prospect of multiple call-outs, no-shows, or over-surges of make-up workers). Embracing the constraints, we discovered and tested other shift-scheduling/swapping apps Branch, Shyft, Volunteer Scheduler Pro, and Nurse Grid, comparing these to the Coop’s current online shift-swap feature. The four apps we analyzed shared many important traits missing from PSFC’s online shift-swapping feature, as is immediately visible in the chart to the left. This analysis helped us decide what to consider for inclusion, given the best practice of these established apps. 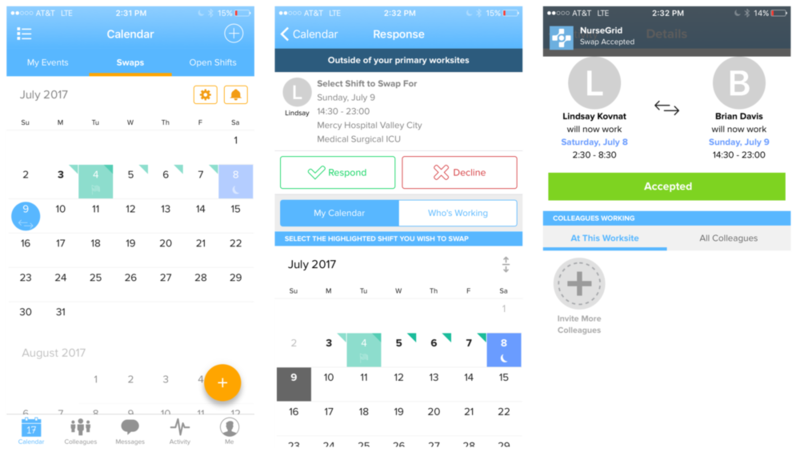 Nurse Grid - by/for nurses, working at multiple hospitals.